Is there a better alternative to Voilabits PhotoResizer? 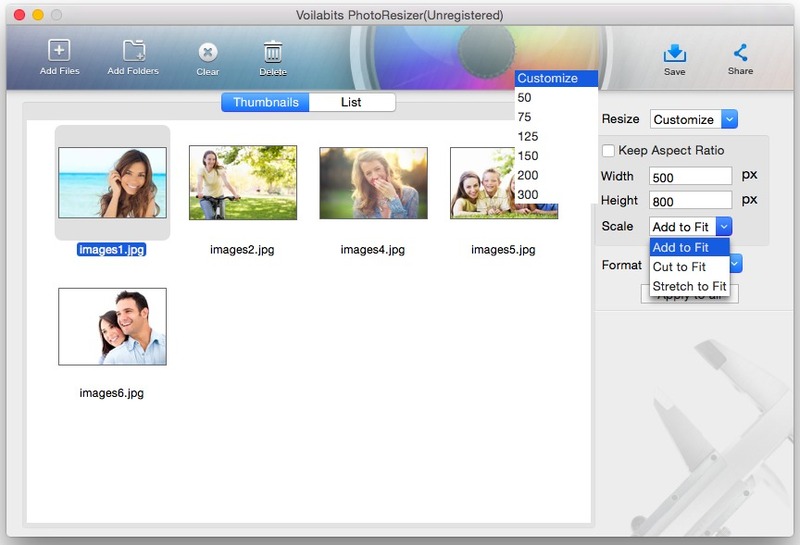 Is Voilabits PhotoResizer really the best app in Designs and Graphics category? Will Voilabits PhotoResizer work good on macOS 10.13.4? Voilabits PhotoResizer provides an efficient solution to resize multiple images in batches within minutes. Firstly, you can input photos files or folders in image formats like JPG, BMP, JPEG, GIF, PNG, TIFF, TIF, PSD. Then, you are able to resize the photos in flexible setting ways: directly choosing a certain percentage: 50%, 75%, 125%, 150%, 200%, 300%, or customizing by setting specific width and height with the original aspect radio kept or not. Voilabits PhotoResizer needs a rating. Be the first to rate this app and get the discussion started! Once the photos are configured, you can save them to many image formats like jpeg, bmp, png, gif and tiff, or directly share them to Facebook or Twitter.